What are Direct Calls, how they work in Reply and how to enable this feature for your account (details included). The Direct Calls functionality lets you quickly get in touch in the client outreach process. Reply establishes a phone call between you and your client using the Bridge call (via mobile/landlines). When you click Call, Reply uses a dedicated number to call you and, when you take the phone, call your prospect. Make sure your balance is sufficient for using Direct Calls. To do this, open the Plans & Billing tab of the Settings page. You must have at least $10 in your Wallet to use the feature. Open the Tools tab of the Settings page and click Request calls. Click Add phone. You will use this phone number as a routing number between you and your prospects. 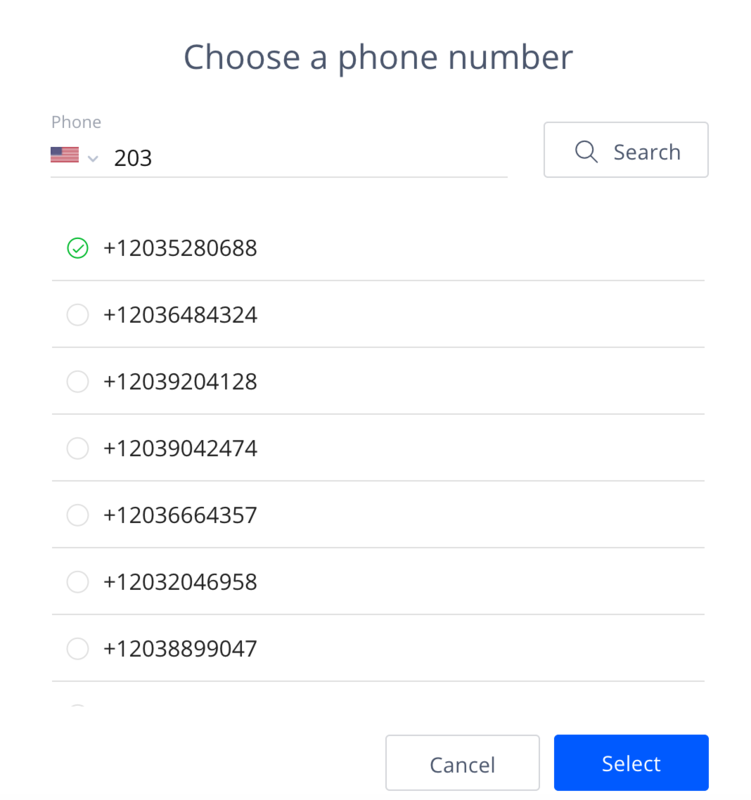 In the Choose a phone number dialog window, select your country and click Search to see the list of available phone numbers. For the US and Canada you can also enter a regional code. Click Select. The system adds the phone number to your account. Enter your phone number under the Account tab of the Settings page. This should be your real number to receive routed calls. Add or update phone numbers to the contacts you want call. For more information on working with the contacts, see the People section of Reply Support. When you hear your phone ringing, accept the incoming call and wait until the system connects you with the prospect. Note: you call the prospect only if their Phone field contains a valid phone number. If the phone number is invalid, the Call button will be inactive. Note: you can create call memos by adding the information in contact's Activity. You can see your expenses related to Direct Calls under the Calls: Payment History section. To open it, navigate to the Plans & Billing tab of the Settings page.